Mount Joggers Half Marathon, 10 km and 5 km – 2017 | JustRunLah! Should your school group have 10+ students competing in an event they may qualify for reduced school group entry prices. 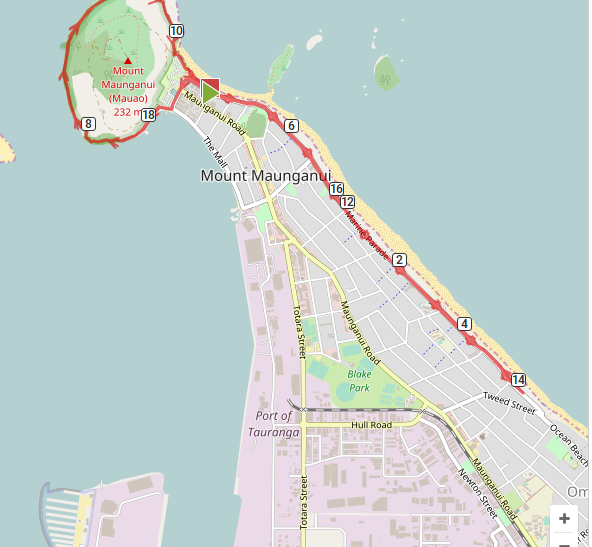 The Mount Joggers and Walkers Half Marathon is a popular annual event event on Queen's Birthday Weekend at Mt Maunganui, drawing over 1400 participants, and has been organised by the iconic Mt Joggers & Walkers running club for over 30 years. While the Half Marathon run/walk is the feature event, there are also 5km and 10km fun run/walk course options, with all distances circumnavigating the popular Mauao base track. An additional Kids 1K event is held on the Mount Maunganui main beach for all super enthusiastic little ones - entry on the day via gold coin donation.